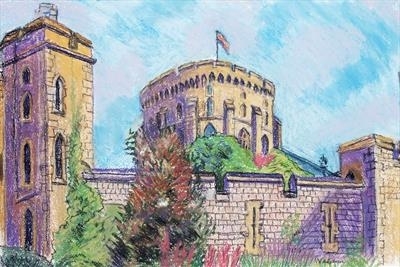 Pastel painting of the tower at Windsor castle, in honour of her Majestie's 90th birthday. 25 only signed copies as giclee prints - or the original by negotiation. Painted en plein aire in 2016 in honour of the Queen's 90th birthday.